Minett is the puppy we kept from our breeding in 2017 between "Ranger" and "Willow". Minett is a lovely, silly girl with her mother's gentle nature and her father's happy personality. 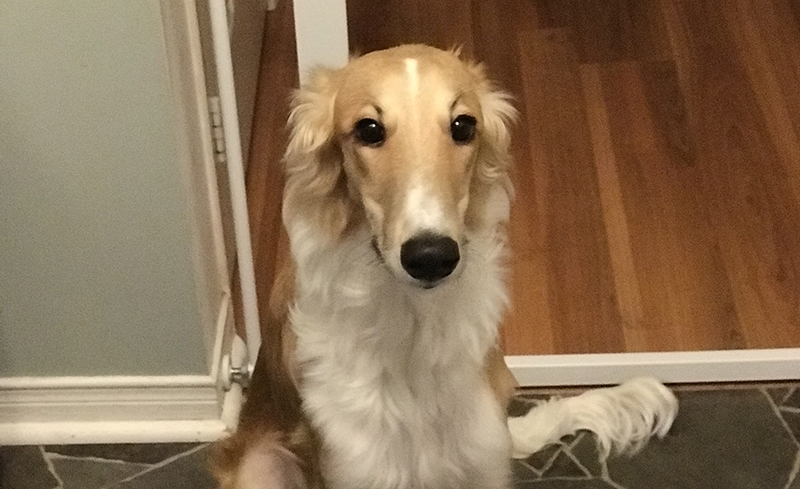 Minett made her debut in the show ring at the age of 18 weeks and immediately rewarded our faith in her by winning Best Novice Puppy in the Canadian Silken Windhound Booster show. After spending the winter months growing, she was recently back in the show ring again at the end of April 2018, where she won the Puppy class and began accumulating the points towards her UKC Championship. Look for her in the ring again soon. Please allow a few moments for the gallery to load. Copyright © 2019, Astraeus Silken Windhounds. All Rights Reserved.